Actor Odagiri Joe (35) will star in a Fuji TV drama series this spring, titled “Kazoku no Uta.” The series will be broadcast on Sundays at 9:00pm, beginning in April. 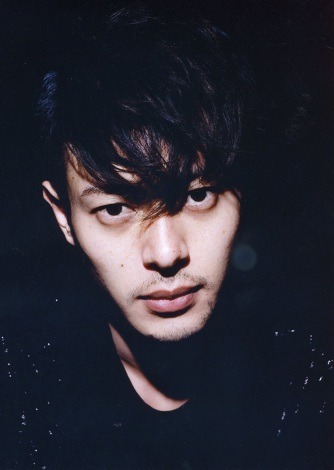 Odagiri plays the role of Hayakawa, a rock musician who was once extremely popular but who has now faded from public memory ever since his band broke up 13 years earlier. His only regular work that remains is a 30-minute live radio show early in the morning and occasional fan events. One day, he encounters three young girls who are his daughters, and he ends up having to live with them. However, he can’t let his situation be publicly known,especially to his record company that wants to find a way to end its contract with him. Through his living with the three girls, Hayakawa matures as a person and as a father. Yusuke Santamaria plays Hayakawa’s manager, while Kanjiya Shihori plays a photographer named Yoko who secretly has feelings for Hayakawa.Otsuka Nene plays Asako, a former photographer who is like an older sister to Yoko and who is familiar with Hayakawa’s glory days as a musician. The three actresses playing Odagiri’s daughters have not yet been announced. All my condolence are with them. The twins really loved their grandmother and I do not even want to imagine what they must be going through. It must be hard. 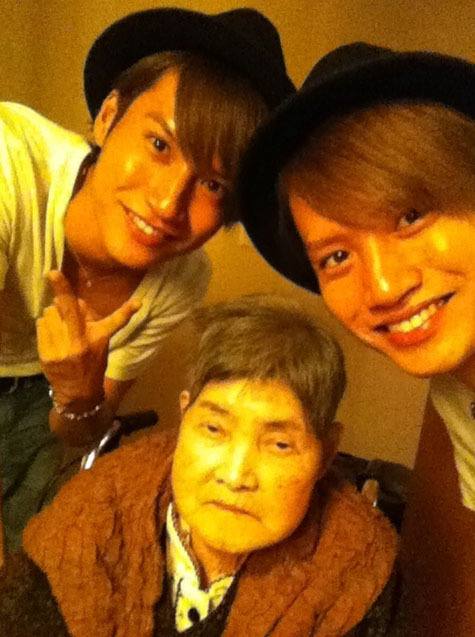 *picture is from Manpei’s blog from November 18, when he and Shinpei went back to Nagoya. My grandmother who I love very much died suddenly today. I heard the news from my older brother. I really really loved her. Although embarrassed, she always smiled and posed for the camera. Whenever I go back home, I always go visit her. If grandma is trying her best, I feel I must try my best as well. From childhood, she cared for me and my siblings. And filled our lonely hearts with lots of love. Right before auditions, she would pray everyday that I would get the part. I’ve kept that letter in my wallet and always carry it with me. I hate that I can no longer talk to my grandmother anymore. Shinpei and I are going back to Nagoya now to see our grandmother. I loved them in Hanazakari no Kimitachi but I didnt know they were friends off screen as well. Hey! Say! JUMP’s Yamada Ryosuke (18) will challenge a historical drama for the first time. In TBS New Year’s drama “Shinshun Rekishi Special Shirarezaru no Bakumatsu no Shishi Yamada Akiyoshi Monogatari” (Next Year January 2nd 3.30pm) he plays a soldier of Meiji Government, who lead Battle of Goryogaku among others, in his young days. For the first time he wore the topknot wig and transformed into a brave soldier. Kiriyama Akito from Kansai Johnny’s Jr will also be in the drama. CNBLUE Jung Yong Hwa’s “Heartstrings” will be airing soon in Japan and to commemorate its Japanese premiere,an interview with Jung YongHwa has taken place. Heartstrings’ Japanese title is ‘おれのコトスキでしょ’ and will be airing on Nov 24 for the first time. CNBLUE’s major debut in Japan is such a smash hit! As Jung Yong Hwa had experienced two years activities in indies scene and made the long-awaited major debut in Japan on October, his drama ‘Heartstrings’ that he starred in as the main lead will be aired soon in Japan. His popularity is about to be a legend. It will be such a big mistake to regard CNBLUE’s music as a Hallyu. Because of their band style, their music and their path of entrance to major music scene in Japan proved their differences from the KPop boom in Japan and they did not achieve their popularity in Korea just by the plain boom. Nevertheless, the two years musical training was the most notable episode in Japan when we speak about CNBLUE. Before they made same record of cd sales as TVXQ did in Korean music market, they had distributed fliers by themselves and had performed street lives in front of few people during musical training. So to speak, CNBLUE’s music was saturated little by little in Japan before Kpop became a boom (in Japan). In Korea, their music style was accepted as a new taste of music which is different from the commercialized music. In both Korea and Japan, they mesmerize the wide and various listeners from young generation to their elders, in which the band had not existed and probably won’t be exist in the near future. In addition, the achievement is made by a young band, as they are in their early 20s, and it is definitely an epoch-making (a significant start to a new era). This year, as their first step, CNBLUE who has much potential and possibility made something credible. First they released the third Japanese single ‘RE-MAINTENANCE’ in January and released the first full album ‘First Step’ in Korea which achieved around 100,000 copies of sale. This heart-stirring achievement was reported in news media as a big surprise. Especially in their Korean comeback album which included ‘The Way’ and ‘I Don’t Know Why’ in Korean, those songs were included earlier in Japanese albums and made a big hit. This news became an enjoyable gift to the Japanese fans. “‘I Don’t Know Why’ is an empirical song that I produced with sound of synthesizer and tried it in various ways. Therefore, we could feel the improvement with diverse possibilities (in making music) so we are attached to it,” said Yong Hwa. One of CNBLUE’s charm is that members produce most of their music for their albums. 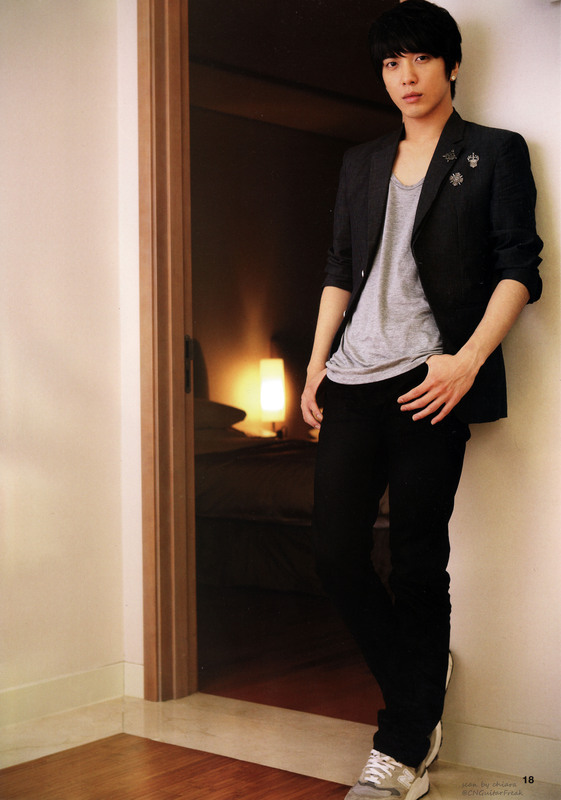 Starting from the end of June, in a two years interval, his second drama “Heartstrings” was broadcasted. In September they released the last indie full album ‘392’. Their last indies album has the meaning of that it is the second album after “ThankU” and to show their appreciation to fans they named the album “392″ (meaning thank you too (much). Their last indie live concert at Yokohama Arena was a great success. As a musician, an actor and a star that will lead next generation, his activities will be more noticeable. To cater to the people’s expectation toward to him, he will act to the best of his ability by himself. While we were talking about Shinwoo’s one sided love for Minam in ‘You Are Beautiful’, I asked him, “This time it is a happy ending for you!” He replied in smile, “I’m also curious”. 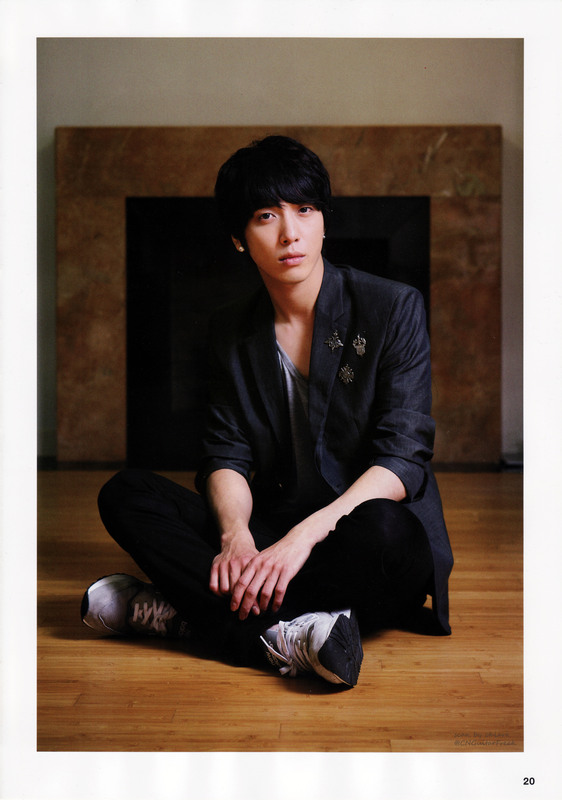 In commemoration of broadcast in Japan, he explained how Heartstrings has been appealing to him. Question: It has been two years after ‘You Are Beautiful’, now you’re acting in a new drama, besides, it is the first time for you to be the main lead. How do you feel now? Yong Hwa: First of all, I’m so happy to act with Shin Hye again. It really is fun to film. 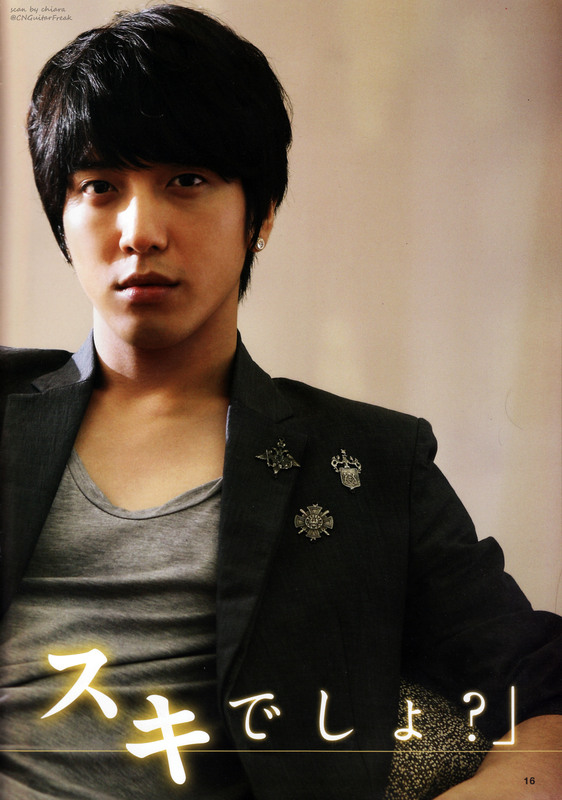 Question: How can you define Lee Shin whom you are acting as? 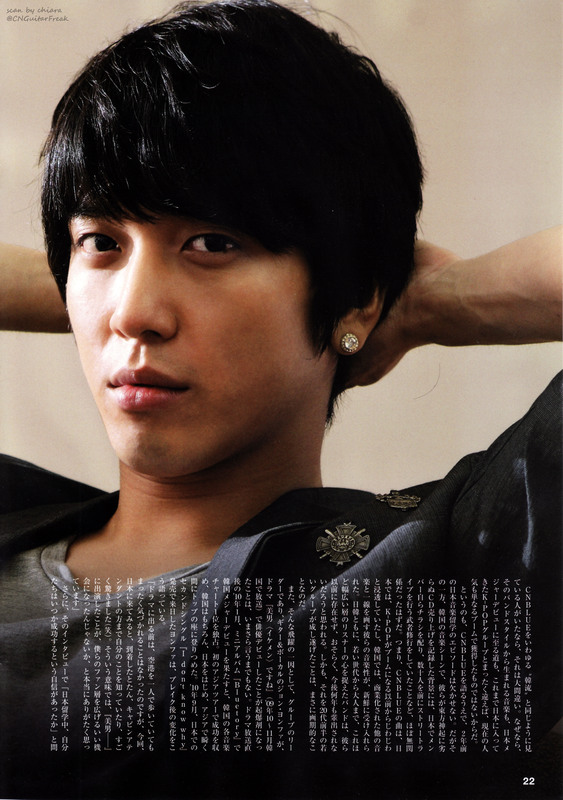 Yong Hwa: Lee shin is a person who likes music and family. He cares only what he likes and seldom gives any interest to anythingelse. He is cool. Question: What kind of personality and characteristics does Kyu Won has? Shin Hye: She is a bright, cute and girl. One hand she is simple, the other hand she is a lovely girl who acts ahead for the sake of friends. Question: Are there any similarities between you and Kyu Won? Shi Hye: Being positive, energetic and cheerful is the similarity between us, therefore, being acting is fun. Being childlike is something in common between me and Kyu Won as well. 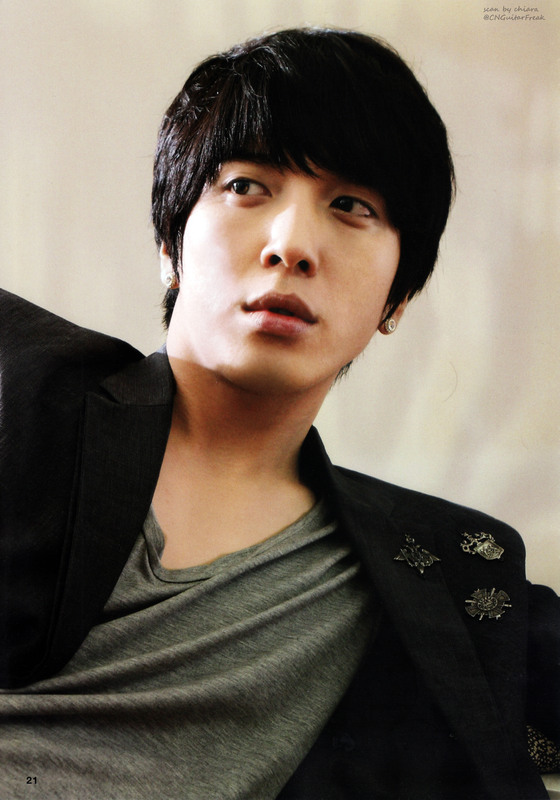 Question: What are the similarities between Yonghwa and Lee Shin? 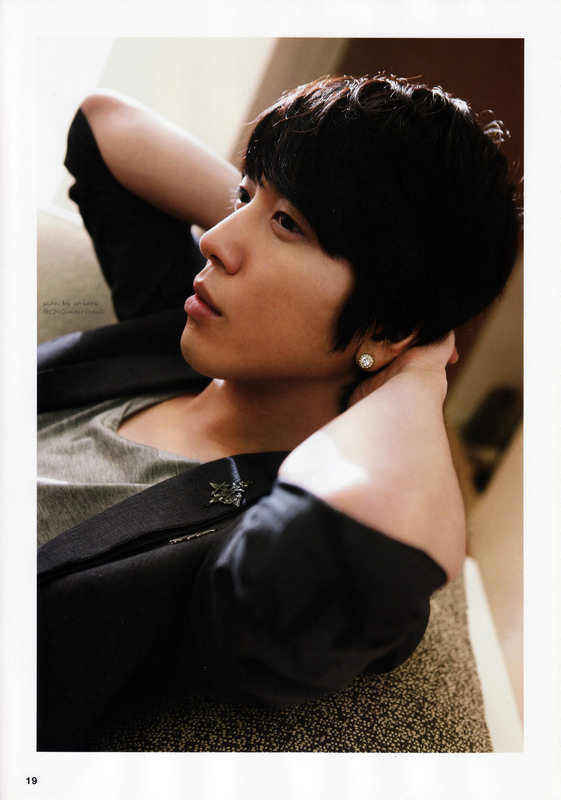 Yong Hwa: We both are in a band and love instrument and music. (smile) But Lee Shin’s situation and personality is not similar to mine. I’m interested in various things while Lee Shin doesn’t. Question: What kind of advice and directing did you receive from director Pyo? Yong Hwa: Whoever he meets such as his friends, Kyu Won, his family or those whom he likes he expresses different feeling in his face. So director Pyo advised me to act differently to express his feeling. Question: What have you prepared to act the role of Kyu won? Have you ever suggested any idea? Shin Hye: Kyu Won is not only cute but also free and easy. She is also feminine and childlike. I’m trying to show various sides of Kyu Won. Question: Shooting hasn’t begun today. What was your favourite shot you have done so far? Shin Hye: As she promises to play Gayageum for musical battle with Lee Shin and his guitar, she regrets about the promise of the battle walking down the campus of university and bumps into Professor Suk Hyun. The scene is when the professor says in joke, “Is your head made out of stone?” and he really like her cuteness. Another scene is when she has musical battle with Lee Shin. It is such a tense situation. Question: What was the most difficult scene so far? Question: What would you relay to message to viewers in this drama? Shin Hye: In this drama every character is pursuing dream and love and lives for its life. Every moment of life for each character is precious so I hope viewers would feel the same way. Yong Hwa: The story is about twenties ‘fresh love story. In the other hand, regardless of ages, it’s about everbody’s experiences in “youth romance” and the drama portrays well about it. Yoo Seung Ho has been cast in the upcoming drama, “Operation Love.” which will be a Korean adaptation of the 2007 drama that first aired on Japan’s Fuji TV. Starring top Japanese idol star, “Yamashita Tomohisa” , “Operation Love” aka Proposal Daisakusen was one of the most popular a romantic comedies back then. Yoo Seung Ho will be playing Yampi’s part while the serach for the femal is still going on. The Korean remake version of “Operation Love” will air early next year through new cable channel, Chosun TV. Seriously, this kid is so…so…so greasy! I love that about him! Younha: Zico, did you not like the Pepero choco sticks that I got you? You haven’t finished yours. Zico: It was okay up until I ate about half, then it just became too much. Younha: Jaehyo said it’s delicious! Look, he’s almost done with his! Zico: Don’t you see him forcefully chewing it down? Younha: Even Kyung has finished his. Kyung: *greasy voice* It wasn’t your Pepero I ate… What I ate was a gift from your heart. Younha: Not bad! Kyungie’s the best.